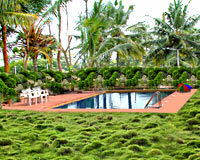 White Orchid Resorts is situated between Kalaswadi and Sidalingapura, on the Bangalore-Mysore Highway. At just 3kms from the Royal City of Mysore, White Orchid Resorts is set in a tranquil area surrounded by lush green fields and water bodies. 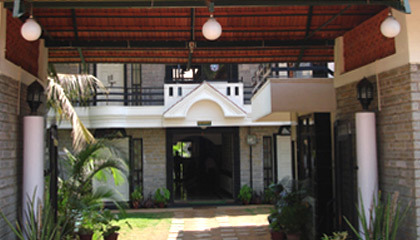 The hotel offers warm hospitality and all modern facilities that provide a real feel of luxurious living. The special feature of this resort is the ethnic cozy nest designed for couples and nature lovers. Featuring a crystal clear swimming pool and a well equipped gym, White Orchid Resorts also has special arrangements for business requirements and private functions. 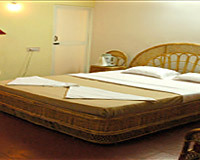 The resort offers an array of 14 spacious rooms, categorized into Deluxe Room, Luxury Room and Family Suite. 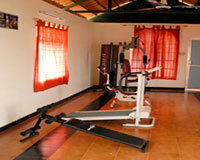 Each of the room is well-furnished and features comforts of modern living. 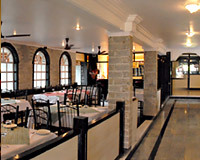 Gladiolus: A restaurant offering a variety of scrumptious delicacies.